I was going to post this on Friday. 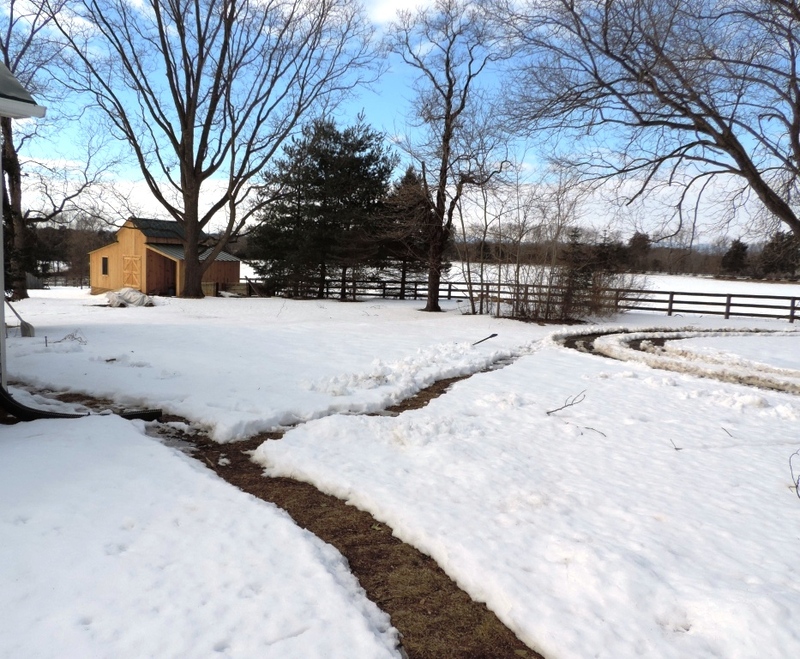 But, instead, we shoveled snow away from our cars and plowed down the pasture road and out to freedom. Freedom being the paved road about a mile away that was completely clear and dry. 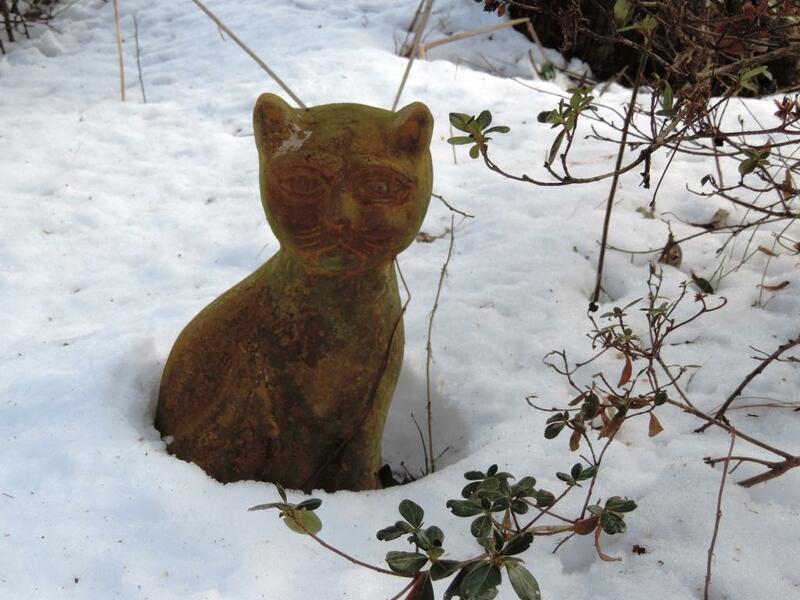 Ten inches of snow on Thursday; sunny and 52 degrees on Friday. So, Editor/Husband and I went out to lunch. And, shoveled just a little bit more, but mostly out of guilt because everyone else seemed to be shoveling, so we thought we probably ought to, too. This was a guest post from Stevie who paws her way across the keyboard from time to time. Every cat is attracted to a keyboard at least once. My cat Squeekee once stepped on the “enter” key and sent an unfinished, typo-filled email to a consulting client. Always a plus when you’re charging to edit their copy. I was going to scrap this post because it’s mostly about (me). Writing about (me) simply means there isn’t good baseball or Yoga to write about. And, there’s always good baseball and Yoga to write about. When I was in Junior High, my parents uprooted me from California to return to their original home – a farm in North Dakota (a few dozen miles from the geographic center of North America; a good 10 miles from the nearest paved, two-lane road, and 15 miles or so from the nearest grocery store). It was cold and flat. It was very, very cold and very, very flat. I had the foresight to keep this newspaper article. I went outside that day, but I am not the person jogging. Needless to say, that was my last winter in North Dakota. The eastern half of North Dakota is so flat that from our farmhouse, I could easily see the town lights at night 14 miles away … except when the snow blotted them out (which was more often than you can imagine). I lived in a town called Devils Lake. 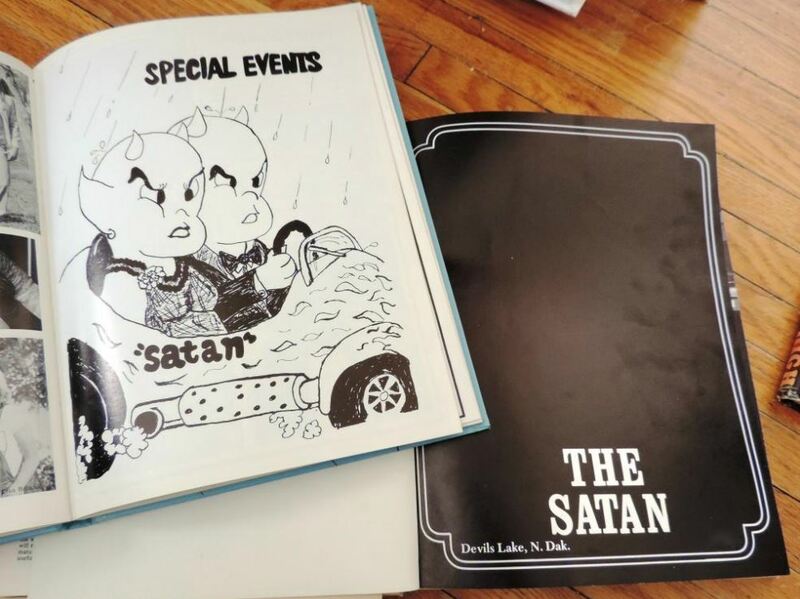 High School Yearbooks were called “The Satan.” And, how about that artwork? It was far too cold and far too snowy for the high school to have a baseball team and no one there thought that was odd either. No baseball. But, we did have curling. I was an awesome sweeper. My years there was time spent, I guess, as the foundation for saying “I’m much happier here in this better place” ever since. Finally sprung from both high school and college, I came east, happy to find much warmer weather, far better music, Yoga, and, yes, baseball. In North Dakota when it snows, the snow sticks around, often for months. In Devils Lake, the main streets in town have a permafrost layer of packed down snow, ice, and gravel throughout the winter. You just live with it. Snow? 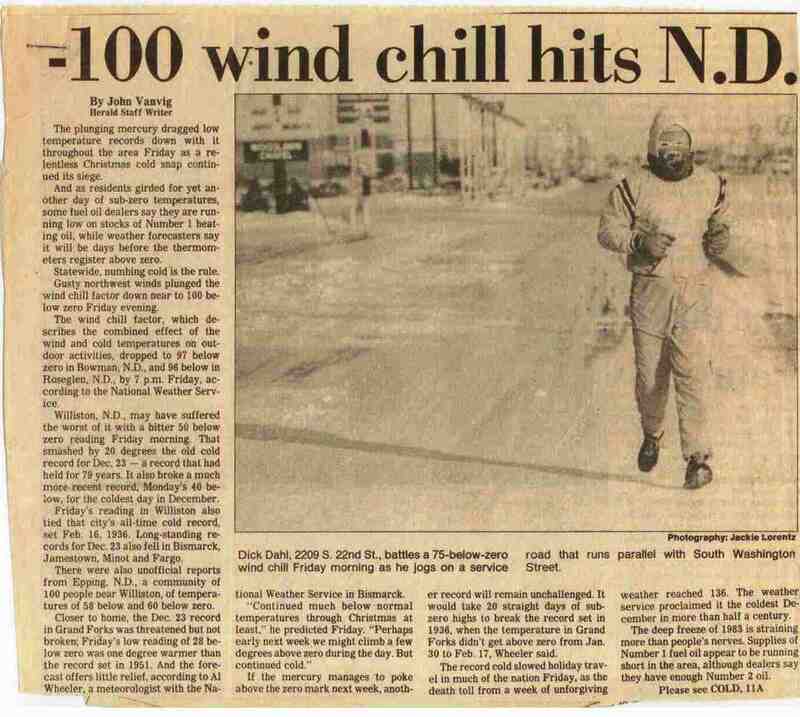 -100 wind chills? You just live with it. Here in Virginia as soon as there is a threat of even two inches of snow, everyone panics. The store shelves are emptied and schools are closed, often for days on end. And, then the sun comes out and the day turns warm. Baseball has come. Spring Training’s underway in Florida and Arizona. College games are being played. Enough about (me). It’s baseball season! 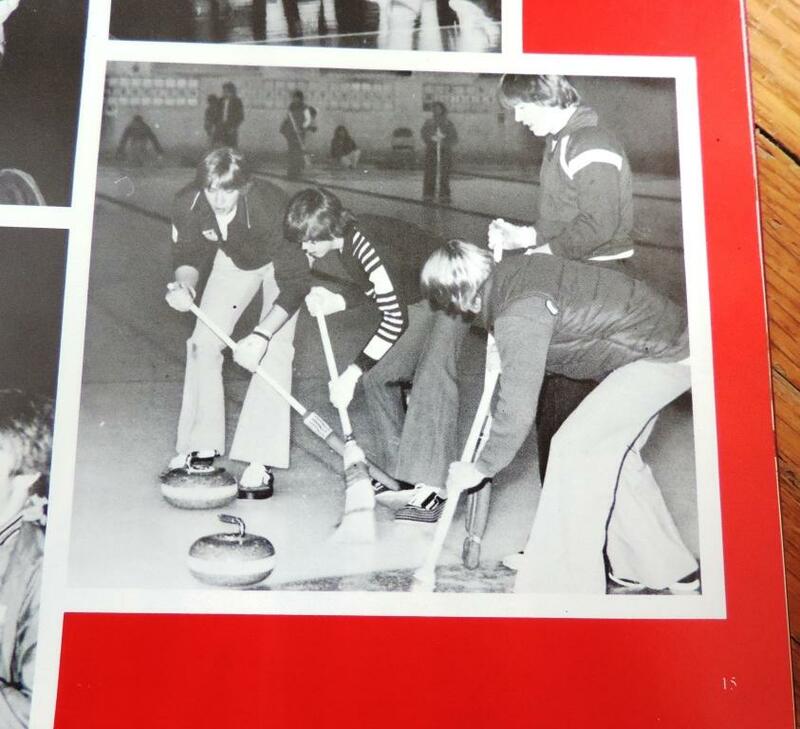 This entry was posted in Life and tagged curling, Home, North Dakota, snow by Jackie, The Baseball Bloggess. Bookmark the permalink. Loved this post. That’s because I’m not a huge basefall fan (as you know) and I LOVE reading about you – you’re so interesting! You don’t give yourself enough credit that you’re interesting enough to write about yourself. Thanks for the kind words, Martha! Looking out on the Virginia snow that I haven’t shoveled (depending rather on Mother Nature to eliminate the problem she provided), I watched the Orioles and Camden Yards being featured in one of the new episodes of House of Cards on Netflix. I hope the fact that all the lights in the stadium went out before the start of what was to be the opening game of the 2014 season is not a portent of things to come (truth being stranger than fiction after all). Loved learning that you were one of Satan’s Curlers! The curling part of the post has certainly gotten some interest … so I had to write a followup! As for the Orioles, I think it’s interesting that political shows still use Camden Yards for their story lines, rather than Nationals stadium (Veep on HBO has also used Camden Yards). It’s either because the Orioles are more welcoming, or that the Nationals Park is just so hollow and ugly … or a little of both! Love reading your blog posts! So the fact that you lived In N. Dakota is really cool. You can wear it as a badge of honor! I’ve only met one person in my life from there…..really nice guy from Fargo…..he got out too. : ) Do you take requests? I’d love to hear more about curling.